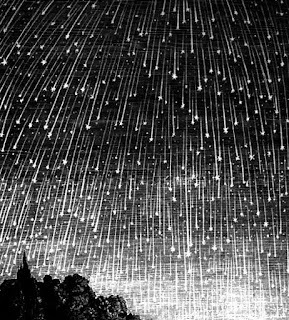 Its the finale of this year’s meteor showers: The Geminids will start appearing on Dec. 7 and should reach peak activity around the 13th and 14th. This shower could put on a display of up to 100+ meteors (shooting stars) per hour under good viewing conditions. However, conditions this year are not ideal with the presence of a waning gibbous Moon (which will be up from mid-evening until morning). But seeing meteors every few minutes is quite possible. Geminid meteors are often slow and bright with persistent coloured trails which can linger for a while after the meteor has burned up. Want to measure the moon's diameter?